During the end of 2018 the East of Europe is becoming increasingly unstable. The tensions are worsening and a small Baltic state has destabilized and become a focus point of both the East and West. To increase matters, satellite imaginary has picked up on large amounts of unknown combatants moving into a small town on the south west border of Russia known as Swynnetza. Russia denies any involvement and unconfirmed intel coming from within states numerous locals have been taken into the town school by force and are being held there, raising concerns that they are being used as human shields ruling out any kind of allied airstrike. 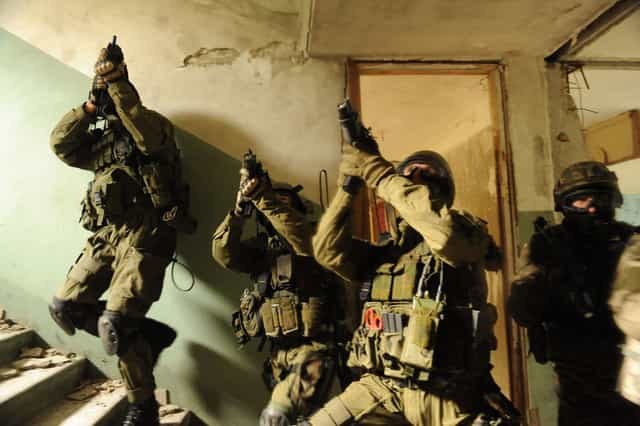 Feb 2019 – credible intelligence emerges that a well known group of break-away Russian special operations commandos led by rogue spetsnaz ‘General Akilina Chernov’ is responsible for the aggressive ongoing actions in Swynnetza. Chernov is well known for supplying stolen military hardware to Eastern terrorists groups whose sole purpose is to inflict mass death and terror in the west. 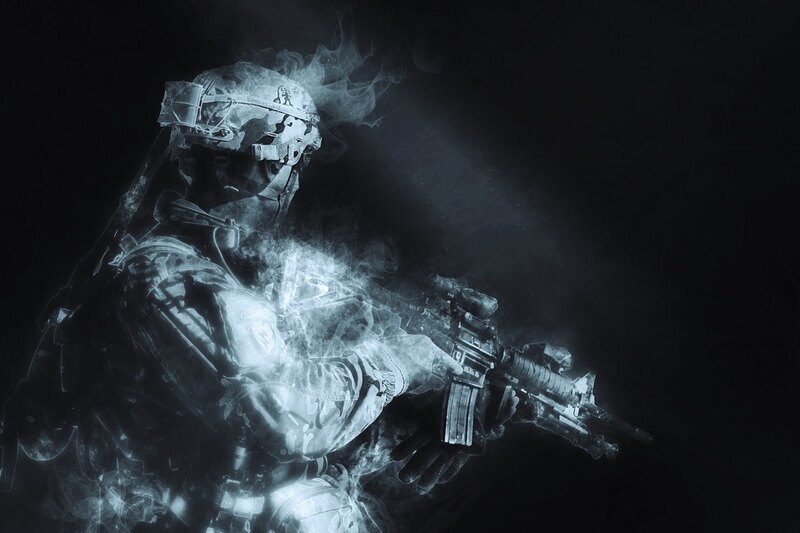 28th of March 2019 – Britain receives solid intelligence that a top HVT ‘Abu Ransa’, wanted for manufacturing dirty chemical weapons for terror groups is in Swynnetza and is more than likely assisting General Chernov. Due to this solid intelligence and knowing the effect of putting NATO troops on the ground so close to the Russian border could escalate tensions, the UK requests Russia to take military action. Russia refuses to get involved leaving only one option for Britain, to react with support from the American government. 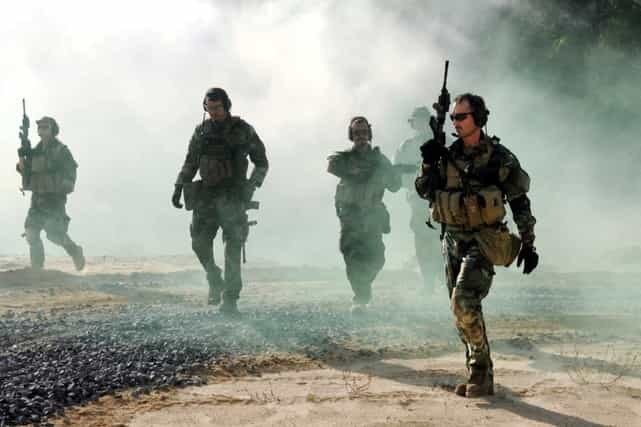 March 30th 10:00 hrs – British and American Special Forces units deploy. At the same time, Russia becomes aware of this and immediately changes their decision to get involved and calls for an emergency UN meeting to request formal authority to deal with the matter themselves. With the town being so close to the Russian border and the local population being predominately of Russian descendance, the UN and local government are expected to accept this offer of help to avoid further friction between East and West. The meeting is granted and scheduled for 10:00 hrs on March 31st, with the expectation that a formal request will be signed by the local government authorising Russian troops to cross the border and deal with the matter…. Knowing full well if Russia takes control of the region it could mean the WMD’s ‘disappear’ forever, and for the first time this century there is the realistic prospect of armed conflict arising between East and West if Russian troops come into direct contact with British and American forces operating in the area. Western troops CANNOT still be in the region once the agreement is signed, whatever the outcome western Forces WILL withdraw at 10:00 hrs on the 31st…. You have a 24 hour window to get in, capture and secure all known HVT’s and interrogate to discover the locations of the Hostages, WMD’s and the WMD production sites. Secure and diffuse any WMD’s you can find, Destroy WMD storage and production sites, recover a number of high value human assets still trapped and captured in the region, ‘neutralise’ as many of these terrorists as you can, and get out. Right now you are in the country legally, and responding to a formal request for assistance by the local government. Use whatever force is deemed appropriate to get those WMD’s and HVT’s! Expect high levels of resistance and know you are facing heavily armed and equipped seasoned militia groups that know you are coming. Whatever happens wheels are up at 10:00 hrs on the 31st. Get the job done, get it done right and get it done fast! This is your chance to see your plan to fruition. You have 24 hrs to cause complete unrest in the region and complete your tasks. Finish manufacturing, arming and distributing the remaining WMD’s, transport the sold munitions from the area, destroy whatever infrastructure you can, and when the time is right detonate the remaining WMD’s to remove all trace you were there and bring about regional collapse. Additionally we have received intel of several high value targets in the area that could prove useful to our escape and future plans – find and capture them. You will be fighting off a coalition of Western Special Forces units so don’t expect your last 24 hrs here to be easy. Dig in, resist, use everything you have and cause as much chaos as you can! Shemaghs/scarves, gloves and footwear do not fall under team colour requirements. Small and sensible deviations from this chart are allowed but if unsure, please check first. Remember it is you who will be potentially taking friendly fire if the colour chart is not adhered to. Snipers – Your grille suits/sniper hoods do not fall under uniform requirements. Price includes Event Patch and Entry into a Raffle Prize draw (prize to be confirmed). Deposit to be paid via Paypal at the time of booking with the balance to be paid in cash upon arrival to the event. All deposits are non-refundable, unless we cancel / change the event dates. Gate 4 Opens Friday 29th March @ 1800hrs & Closes @ 2230hrs. Re-opens Saturday 30th March @ 0600hrs and closes 0800hrs. Chrono will be open on Friday evening and Saturday morning until Safety Brief – All weapons MUST be chrono’d prior to the commencement of the event – No exceptions.